Vote now—and vote daily—to choose your favorite among the repurposed door projects competing to win this month's Bob Vila Thumbs Up competition! A savvy DIYer knows that home renovation isn’t only about bringing in the new, but it also frees up a lot of materials that can be repurposed into unique projects. One of the most versatile cast offs is the wood door. Its sturdy structure makes it the perfect candidate for a table and its natural height makes the perfect frame for a tiered bar station. But that’s not all you can do with this trusty resource, as you’ll see in this month’s Bob Vila Thumbs Up competition. 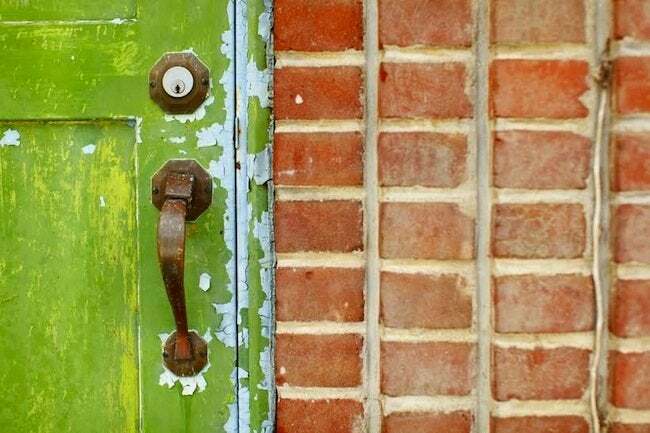 Bob Vila Thumbs Up highlights some of the best and brightest DIY bloggers, and this month we’re thrilled to share for totally unique repurposed door projects. They all win points for creativity and style, but we’re counting on you to help us name one blogger as the champion of this month’s competition and the prize—a $250 gift card. So cast your vote today and every day in May to help your favorite blogger become this month’s Bob Vila Thumbs Up winner. After all, it’s your vote that determines the outcome of this competition. Congrats to last month’s winning blogger, Dwelling in Happiness. Read more about the winning Bob Vila Thumbs Up project right here.